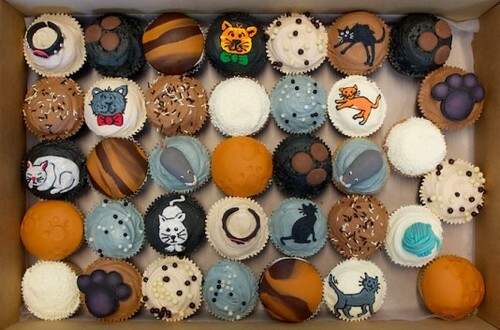 These cute cat cupcakes are by London's Crumbs and Doilies, via their blog, made for Erica's birthday. Oh these cupcakes look marvelous. I went to a bakery called la Boulangerie des Gourmets a few days ago to find some original cupcakes and I thought they were actually original. But these are soooo cute.